You may have already seen an Easter garden. They’re also sometimes called a Resurrection garden or Grace garden. This lovely idea has many different variations you can try and all of them are such sweet and meaningful Easter traditions. This year each of the kids are doing a mini Easter garden. It is a wonderful tool to teach your children the meaning of Easter and celebrate Christ on Resurrection Sunday. The Easter garden is a fun and light-hearted way to focus on a very important message. THE MOST important message, really. That Christ died for us while we were but sinners, taking on our sin and the punishment we deserve. That if we accept Him as our Lord and Savior, we are given new life in Him and hope everlasting. Easter is my favorite holiday because it’s about everything that really matters: the earth shattering reality of who Jesus is and what He has done! The mini Easter garden is a gentle but meaningful way to guide your children through this amazing story. If you worry about soil falling through the bottom you can cut a piece of cloth or use a coffee filter at the bottom of the pot first. 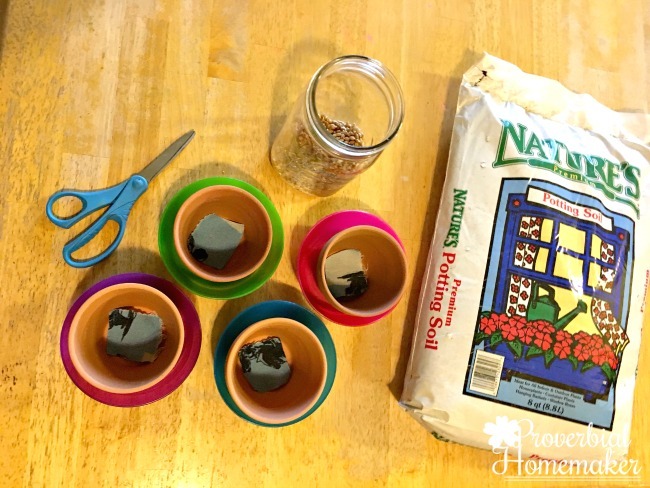 Fill each pot with soil and leave about a half inch to an inch at the top. Cover with a thin layer of seeds and don’t be stingy! You want your grass as thick as possible but not too piled up. 1 – 1 1/2 tbsp seeds is enough for each of the pots we planted. 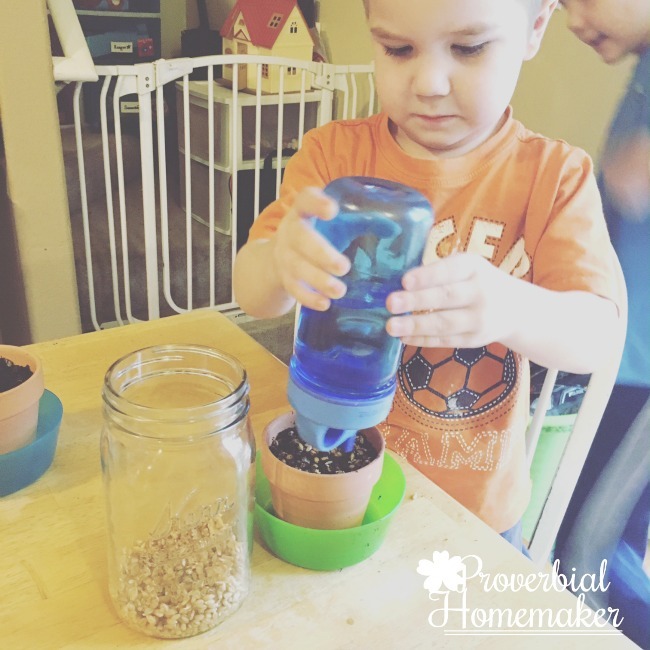 WHEN TO PLANT: If you want a quick sprout because you’re running short on time, soak them in water overnight first. They will germinate in about 1-2 days. The pictures in this post are all at the 5 day mark. It will take a little longer if you don’t sprout them, usually about 10 days. WHERE TO GET SEEDS: Wheat grass seeds (also called hard winter wheat seeds or wheat berries) can be purchased on Amazon or at a local store. You can often find them in health food stores or even in bulk at stores like Winco. ALTERNATIVE IDEAS: If you are doing this last minute or don’t want to buy seeds, buy some moss from the craft store or pull some up from the grounds and cover the surface you desire. It will still look beautiful and no waiting required! The same sort of effect can be had with herbs or other ground cover. Have a Lego lover in your home? 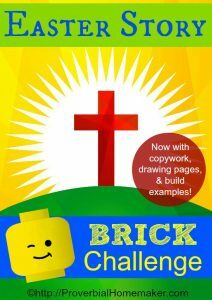 Be sure to check out our Easter Story Brick Challenge for an easy and fun way to help your kids engage with the story of the resurrection of Christ! 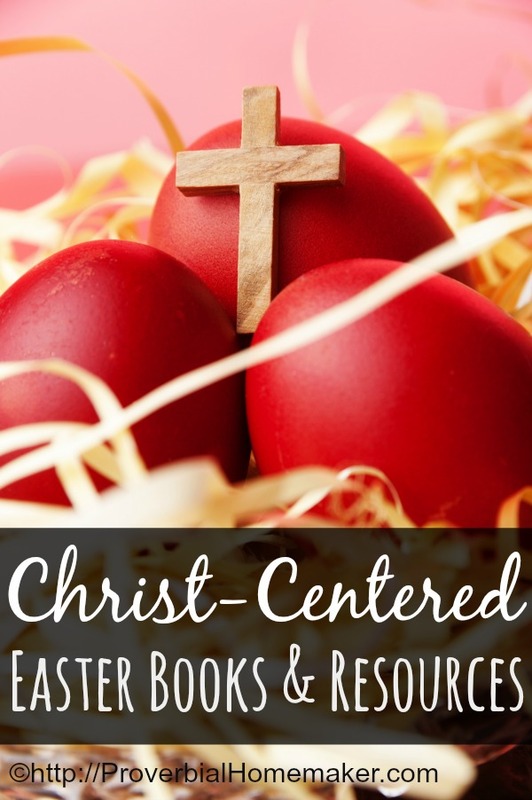 Includes Bible readings, activity/craft ideas, copywork, build challenges, and optional extended challenges for after Resurrection Sunday. 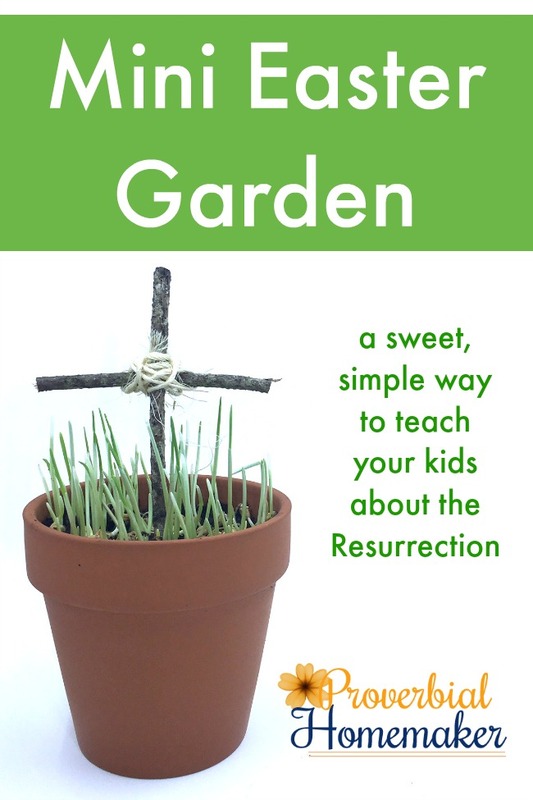 CROSSES: Take your kids through the resurrection story using your Easter gardens. 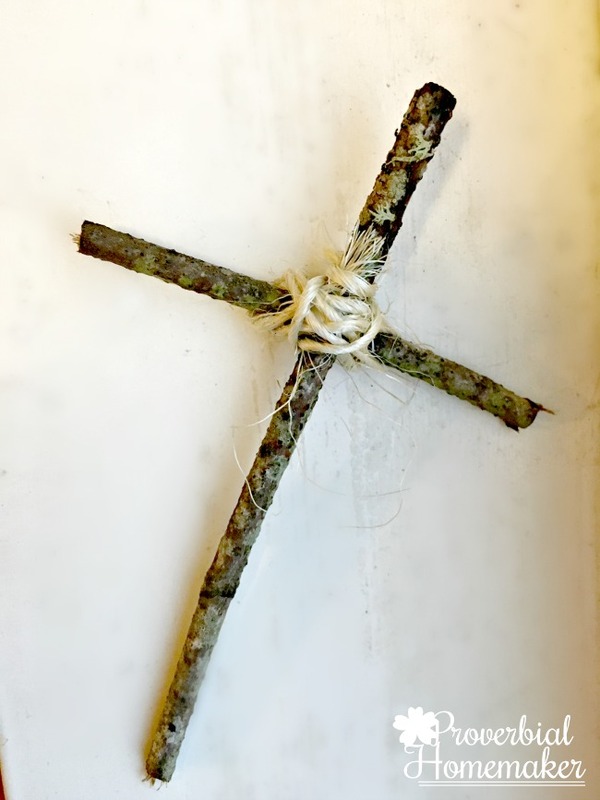 Make some simple crosses using sticks and simple twine or yarn. Simply hold the smaller stick to the larger one in a cross formation, pinning the twine to the stick. Wrap it around several times, securing the twigs together before tying it off. ROCKS: Place the cross into the garden and use it as a visual as you read through your Easter devotions during the week leading to Resurrection Sunday. On Good Friday, replace the cross with a rock. You could write the child’s name or Jesus’ name on the rock. Talk about how Jesus died for our sins and took our punishment upon Himself. EGGS: Before the kids come down for breakfast in the morning, set their pots on the table where they sit and replace the rock with an egg! It could be a boiled Easter egg with “He is Risen” written on it, a plastic egg with a scripture or treat inside, or anything else you can imagine. Talk about how the egg can represent the empty tomb as well as new life in Christ. I hope you enjoy this activity as much as we do!